Dreamstate Interactive also known as DSI, specialises in 'Online Business Solutions'. We create white label business solutions to solve problems within a company or industry. 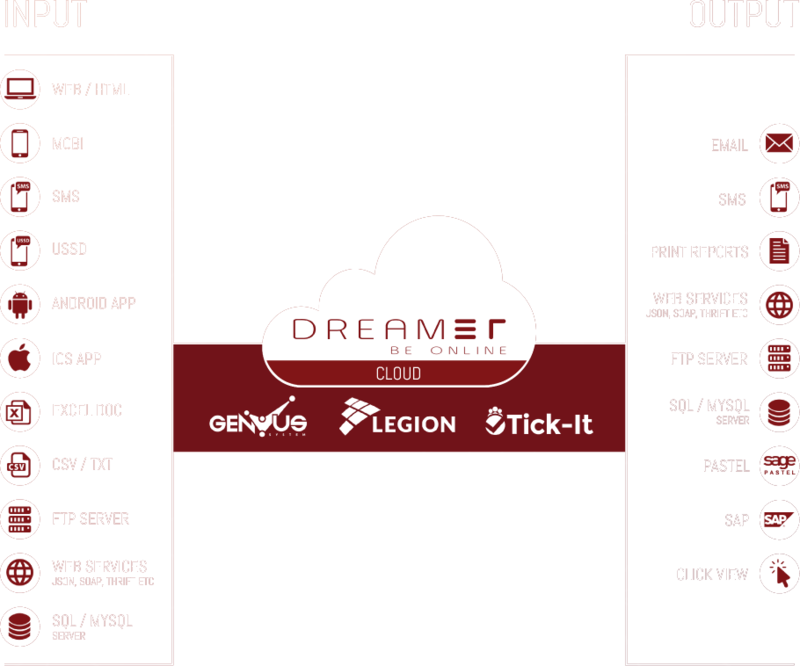 To do this DSI has created a Cloud based web platform called DreamER. 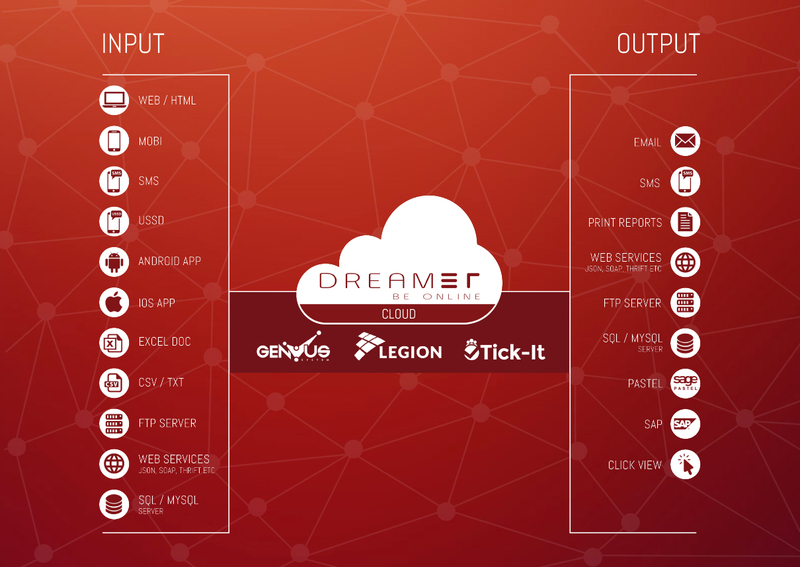 DreamER is a platform that allows for multiple input channels in order to receive and collate data into a controllable and centralized system. Using these technologies, DSI is able to create a user interface in order to capture data that best fits the current problem statement's environment. For example: if a company has field agents that collect data on paper and later upload it to a server for reporting; DSI would replace the paper input with a web form, or an iOS/Andoird App or even USSD if the information is short enough. This will allow for the data to be automatically captured into an online solution. This simple change will result in a massive saving of resources (paper costs), labour (admin to retype) and time (live feed of data). Once the information has been captured into DreamER we are able to push the collated data to any other output channel.